By 1st June 2015 all hazardous mixtures placed on the market will need to be classified, labelled and packaged in accordance with the CLP Regulation. The Classification, Labelling and Packaging (CLP) Regulation introduced in 2008, provided transitional deadlines to allow for the change over from both the Dangerous Substances Directive (67/548/EC) and the Dangerous Preparations Directive (1999/45/EC). 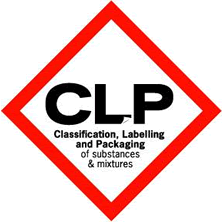 All substances must be classified, labelled and packaged in accordance with the CLP Regulations since 1st December 2012, however mixtures have been given an extended deadline until 1st June 2015. As part of Chemstore’s Chemical Awareness Training, this information has been passed on to the participants in the courses.